Buy A Vitacost Bogo item & Get One At 50% Off! 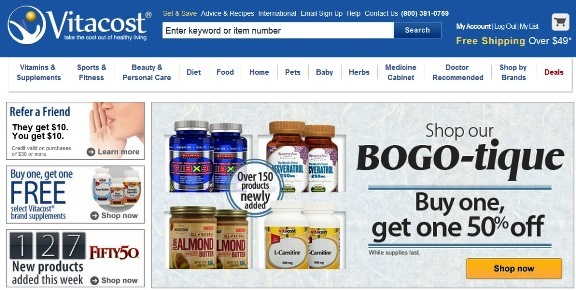 You are here:Home » Vitacost Online Shopping » Buy A Vitacost Bogo item & Get One At 50% Off! Do you know that when you shop at Vitacost BOGO-tique, you can get buy one & get the other at 50% off? With over 150 products newly added, you can be sure there’s something for everyone! Check out my shopping spree at Vitacost for this month! During my last shopping @ Get Your Health Supplements & More From Vitacost, I bought 2 bottles of these Vitacost Synergy Once Daily® Multi-Vitamin @ US$19.99. I’m back to buy more! High-potency multi-vitamin with 21 essential vitamins & minerals—plus powerful antioxidants such as green tea, resveratrol, CoQ10 & more. Can’t get enough of these Nutrition Now Gummy Vitamins (70 Gummies)! We want MORE!! Retail price: US$10.99, Vitacost price: US$7.99, You Save: 27%!! Since the flu bug is here, we better stock up some flu med. Vicks Dayquil Cold & Flu Caps - 24 Liquicaps @ US$9.09, Savings: 15%, Alka-Seltzer Plus Day Night - 20 Liquid Gel Capsules @ US$7.29, Savings: 17%! Remember this pix? 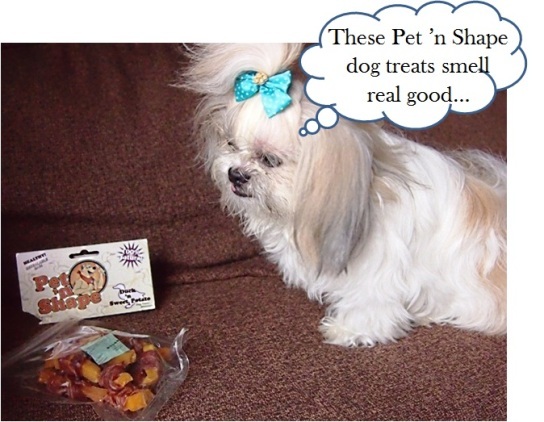 Princess Candy finished all her Pet N Shape Chik 'n Sweet Potato Dog Treats (US$7.13, 8 oz) real fast, so we gotta snap up more! cre8tone, it's huge in the USA! They even something for furkids! Brilliant shopping under one roof. missyblurkit, hahaha! It's fun shopping there! Yes, i've make used of such opportunity too. It's indeed great buy when you consume a lot of it. DS, thks for shopping at Vitacost! I love promos! Gonna check that out. Thanks, Shirley! Kathy, it's pretty cheap to buy their bogo products! Sounds like a great promo! I love to see ya vitacost items..
Pepper, have fun shopping there!